Home Tags Posts tagged with "CPR & Music"
YOU CAN SAVE A LIFE WHEN PERFORMING CPR TO OF SOME OF YOUR FAVORITE SONGS! Did you know you can save a life when performing CPR to certain songs, this is no joke? According to the New York Presbyterian Hospital, anyone can save a life if you learn to perform the basics of CPR, knowledge that could save the life of someone you know” or the life of a total stranger. A recent study of more than 350,00 people in the United States suffer from cardiac arrest outside a hospital or emergency care center and the rate of survival could have increased or double if the bystander or family member knew how to administer Cardiopulmonary resuscitation (CPR). A published report in the Journal of the American Medical Association states”researchers found the chances for survival and minimizing brain damage are directly linked to how quickly CPR is administered after someone collapses”. 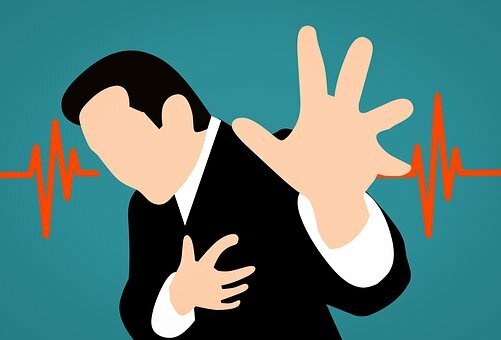 According to Dr. Mehet Oz, “the first step all bystanders should take when they see someone go into cardiac arrest is to call 911, gently shake them to make sure they’re still breathing. Then, place one hand over their chest with the fingers pointing across the body from left to right with the other hand on top for support. Each compression should be about two inches and the standard rate at which CPR should be administered is 100 beats per minute”. The most interesting thing about learning how to administer CPR is the timing. Get that timing right and you may have just saved a life. When first responders are being taught to perform CPR on an adult whose heart has stopped beating, “they’re told to administer 2-inch sternum compressions at a rate of around 100 beats per minute (bpm). Research shows compressions done to the beat of certain songs could give a person in Cardiac Arrest a fighting chance. The American Heart Association and many other organizations are promoting instruction in an easier, hands-only version of CPR that drops the difficult mouth-to-mouth maneuver they had long been teaching. You press down hard and fast in the center of the chest until the ambulance or someone with an automatic defibrillator arrives to take over. “The familiar tune of the Bee Gees song “Stayin’ Alive” has been used for medical training for quite a few years now: It has the right beat — not to mention, the perfect title — for providing CPR’s chest compressions at the right pace to revive a patient”. The 1977 song has a rhythm of approx 103 beats per minute (bpm), which is close to the recommended rate of at least 100 chest compressions per 60 seconds that should be delivered during CPR. Below is a curated list of songs put together by NY Presbyterian Hospital to perform CPR to. From Marvin Gaye, Michael Jackson to Gloria Gaynor, you too can save a life if you compress the chest area to the beat of the music.